Officially licensed men's Yuengling tee shirt. 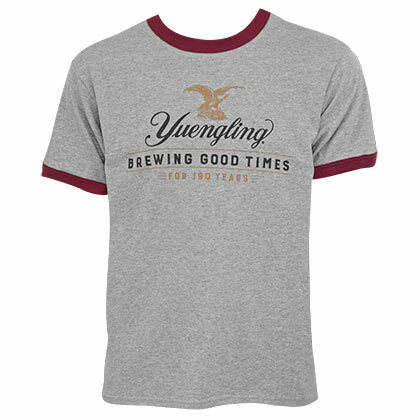 Comes in grey and features the “Yuengling" 190th Anniversary logo and "Brewing Good Times" on the front. Made from a blend of cotton and polyester. "Great products and very fast shipping!!! Will definitely purchase from you guys again in the future!"